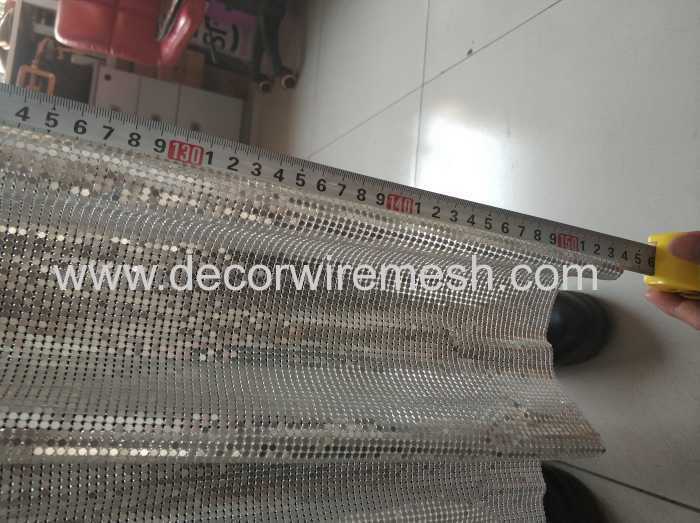 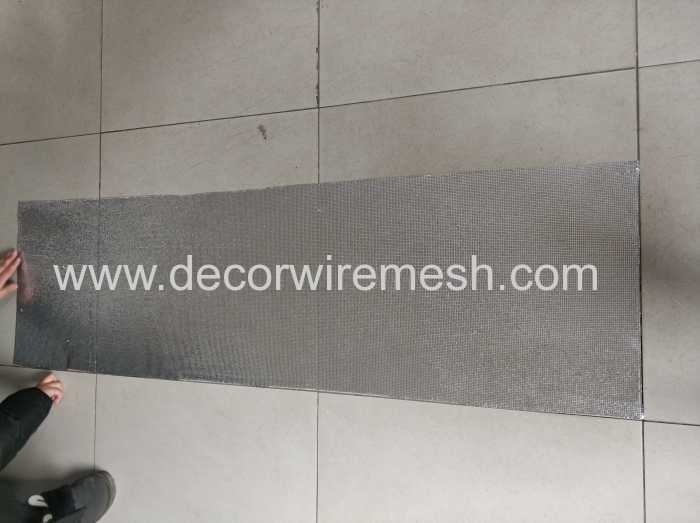 For this kind os scale mesh ,we have two material can be selected , aluminum and brass . 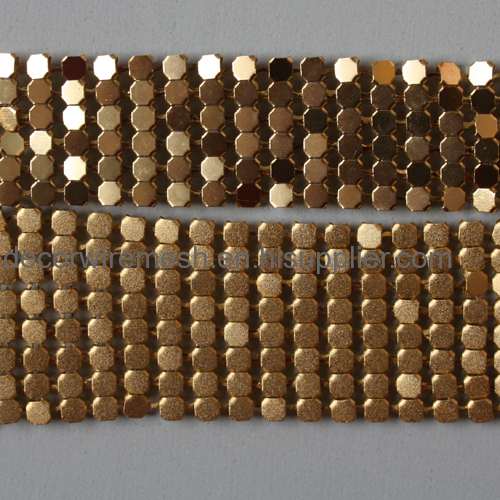 The aluminum material is something light , and the price is lower , but the brass material has better color and hand feeling . 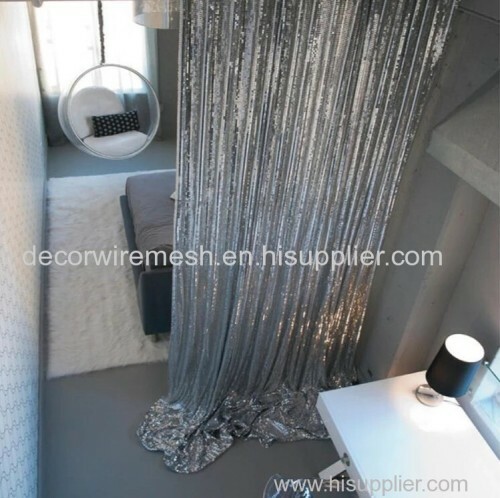 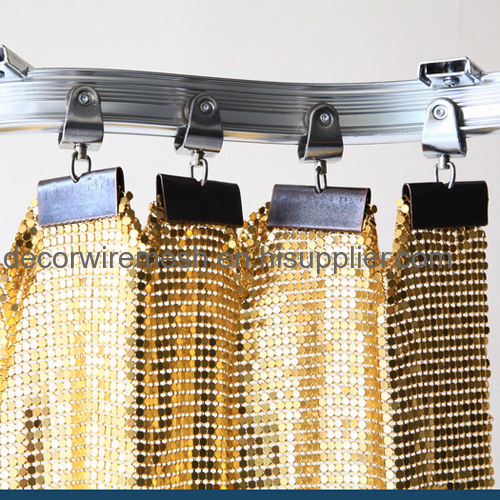 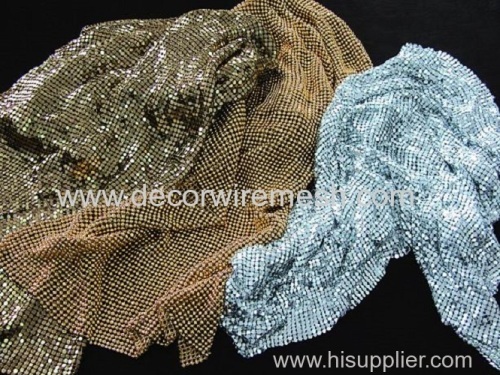 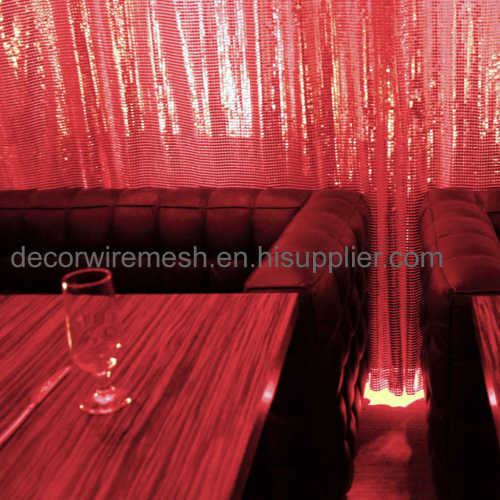 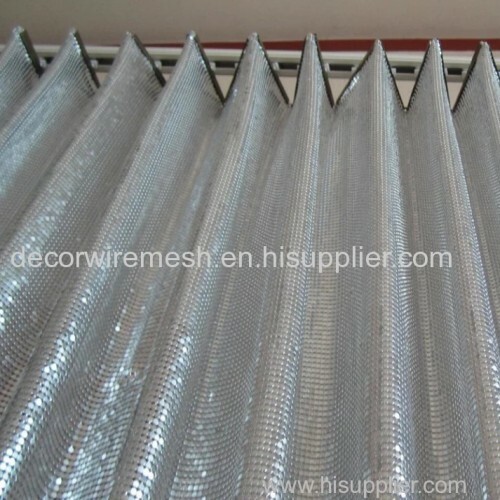 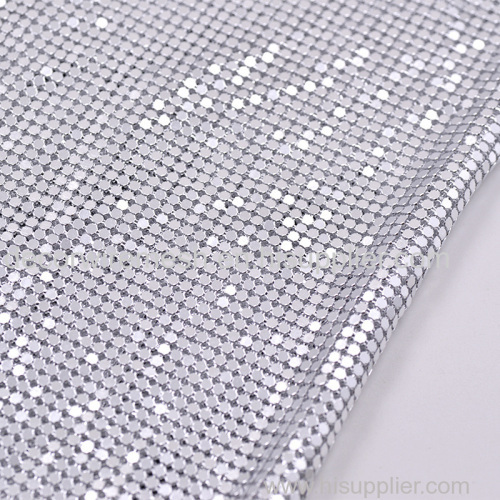 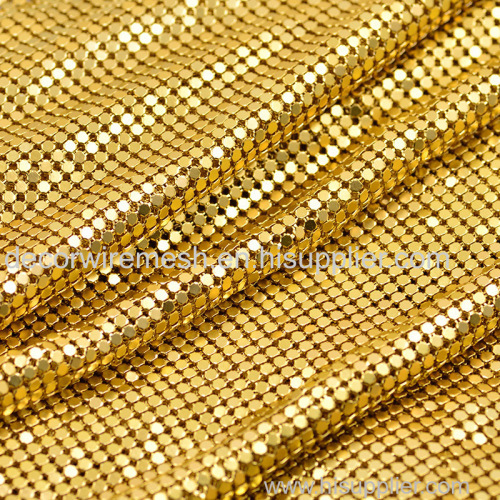 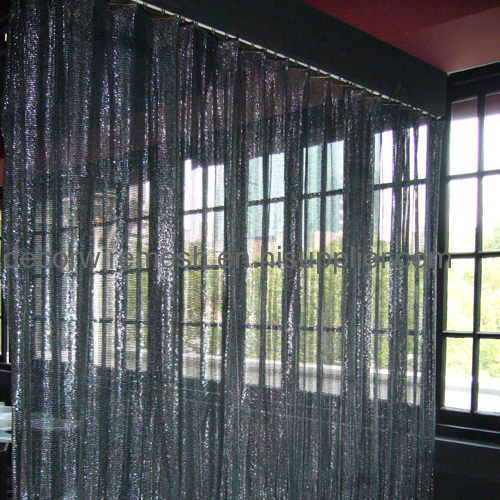 This kind of mesh is widely used as curtain screen in high level club , unger light ,it is very shinny . 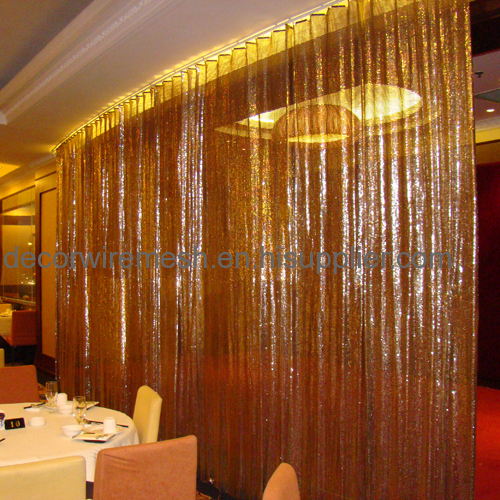 The standard size after production is 45cm*150cm , if client ask bigger size , we will help joint it .